ZTE Grand X Pro Image leaked; will it go after Galaxy Note 2 or S3? Well-known device leakers @evleakshave shared an image of the new rumored phone from ZTE called the Grand X Pro, according to a report from Android Central. The question now, however, is will it be going after the less-than-5-inch market that the Samsung Galaxy lords over or the Galaxy Note 2’s phablet domain? So why can’t we tell if it’s going after the Samsung Galaxy S3 or Galaxy Note 2 crowd? Well, aside from the image above, @evleaks didn’t share any other details about the device. No tech specs, display size , possible release date or carrier information. Nada. 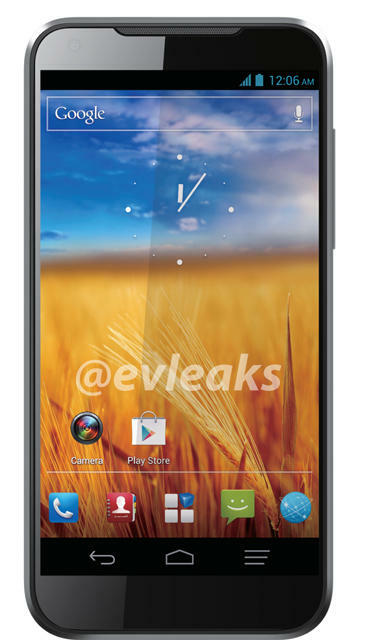 All we got aside from the device render is its name, ZTE Grand X Pro. What’s interesting about the Grand X Pro is that it’s going for an edge-to-edge screen which is a definite plus for anyone looking for more space. This kind of design could work well especially if it decides to go the tablet route like the Galaxy Note 2. It also seems to have dropped capacitive buttons, something that the original ZTE Grand X had. As to whether it will be able to hold its own against Samsung’s phablet, that’s something we’ll be able to more accurately gauge once we have an idea of what this device is running under the hood. We’ll keep an eye on more details about the ZTE Grand X Pro. Be sure to check back for more! What do you think of the ZTE GRand X Pro’s design? Will it be able to compete with the likes of the Samsung Galaxy S3 and Galaxy Note 2? Share your thoughts in the comments below!